Xiaomi has launched its first Android Go phone, called Redmi Go, in India. The low-end handset which costs just $65 is Xiaomi’s most affordable smartphone yet in India. The Xiaomi Redmi Go features a 5-inch 720p 16:9 screen and is powered by a Snapdragon 425 processor. The device sports 1GB of RAM and 8GB of expandable internal storage. The handset runs on Android 8.1 Oreo. The OS is optimized for low-end devices and comes with Google apps that use less storage and data. The Xiaomi Redmi Go also features the Chinese company’s Night Light feature, which is a blue light filter. Other standout features are HD display, unlimited Google Photos storage, dual-SIM, support for over 20 Indian languages and Google Assistant Hindi support. Another unique feature in the Redmi Go that is rare in this category is the presence of two microphones, which helps to reduce noise on calls. Also, it sports a 3,000mAh battery, which the company claims can offer a standby time of up to ten days. Talking of the camera, the device sports an 8MP camera on the back, while on the front there is a 5MP front shooter. Other details of the rear camera include 1.12-micron pixels, an f/2.0 aperture and a single LED flash module. Xiaomi claims the rear camera supports full-HD video recording, real-time filters, smart scene detection along with other HDR features. HDR features are also touted for the front camera, which features 1.12-micron pixels and an f/2.2 aperture. Connectivity options for the phone are GPS/ A-GPS, Micro-USB, a 3.5mm headphone jack, 4G VoLTE, Wi-Fi 802.11 b/g/n, and Bluetooth v4.1. The sensors fitted are a proximity sensor, accelerometer, and ambient light sensor. The handset weighs 137 grams and measures 140.4×70.1×8.35mm. The pricing of the phone is also attractive considering it is a full-fledged smartphone. Xiaomi has priced it at just Rs. 4,499 ($65), compared to Rs. 2,999 ($45) for its closest rival JioPhone 2, which is a QWERTY phone running KaiOS. 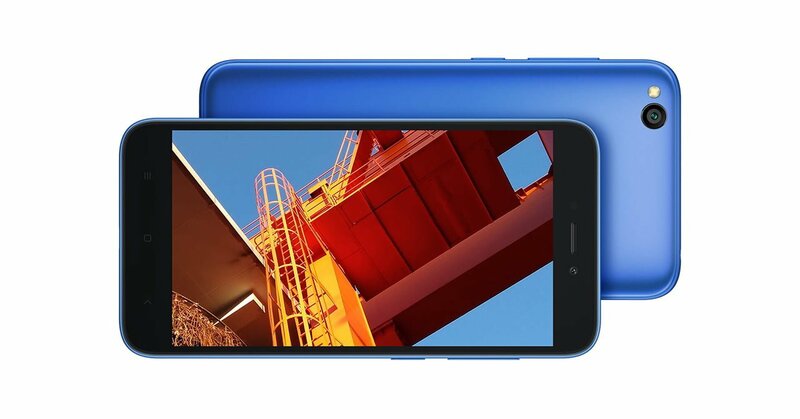 Xiaomi Redmi Go even beats Nokia 1 in terms of pricing. “The phone is truly stunning with a metallic finish to complement the sleek design. The lightweight frame is also easy to hold offering a steady grip,” read the description of the phone on Xiaomi’s website. The Redmi Go will go up for sale starting March 22. It will come in two colors: black and blue. It must be noted that it is not a new device completely. The company first unveiled it in late January and then a few days later, launched it in the Philippines. Apart from the Xiaomi Redmi Go, the Chinese company also introduced its payment service in India. Xiaomi’s Mi Pay works with debit and credit cards, as well as with India’s Unified Payments Interface. The service allows users to make bill payments and also recharge their prepaid phone connections. Since Xiaomi’s Mi Pay integrates into MIUI, it allows users to send money directly to the bank account of anyone in the contact list. According to the Chinese company, the data is stored locally. Xiaomi also reiterated its commitment to the “Make in India” campaign initiated by Indian Prime Minister Narendra Modi. The company said that about 99% of the devices that it sells in the country are assembled locally. Further, it claimed that 65% of the phone’s value is sourced locally. Xiaomi has four campuses and seven manufacturing facilities in India. These manufacturing facilities produce a new phone every three seconds. Overall, the company has 20,000 employees in the country with over 95% being female workforce. Manufacturing and assembling the phones locally help the company cut down on costs as is evident from the low price of the Redmi Go. On Monday, Xiaomi launched another phone – the Redmi 7 – in the budget category. The latest phone is a lower priced version of the Redmi Note 7, which debuted earlier this year. The handset features a 6.26-inch “waterdrop” notched 720p display and is powered by a Snapdragon 632 processor. Other specifications of the handset are the 4,000mAh battery, 2GB to 4GB of RAM, 16GB to 64GB of storage, headphone jack, USB-C and an IR blaster. It is fitted with a 12-megapixel camera along with a 2-megapixel depth sensor. On the front, the handset features an 8-megapixel camera. Talking of price, the model with 2GB RAM and 16GB storage costs 699 yuan ($105) while the 3GB/32GB variant is priced at 799 yuan ($119).